I love to bake. Cupcakes, cakes, and some breads are my thing. And come Christmas time it is all about the cookies! Especially cut out cookies that I make using a recipe my mom treasure from a cookbook that she got when she was a little girl. The making of the dough, the rolling out, cutting and then decorating is like a meditation on love. 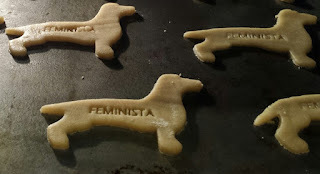 Yes this feminist loves to bake! That is why I jumped at the chance to test out a personalized cookie cutter from Cookie Cutter Kingdom. I scrolled through all their options and decided on the doxie. Now this is where I found a shortcoming...You are limited to one line with 10 characters. 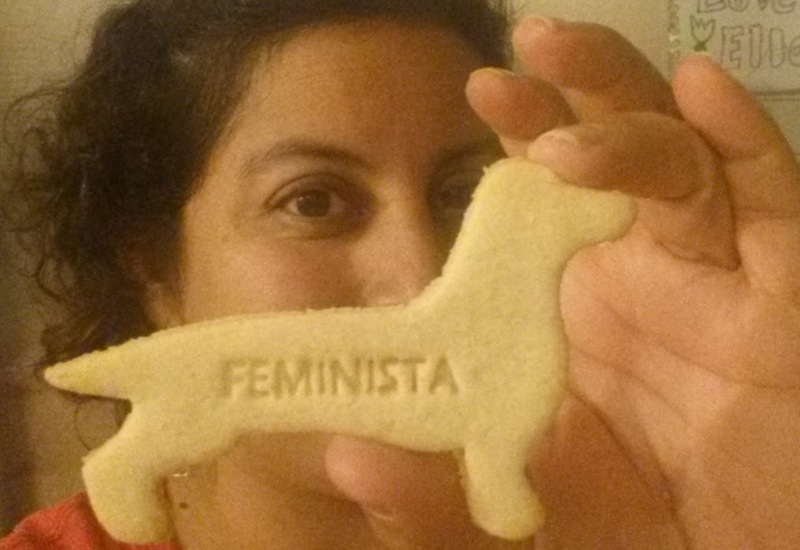 I really wanted a #365FeministSelfie cookie cutter, alas. This is when I thought, hmmm...do I go full out egotistic and get a "Veronica" cookie cutter? Nah...Let's go with Feminista! As you can see from the photos, the cookies turned out great. I will say that after a few cookies, dough did get stuck in the lettering, so I had to grab a toothpick and clean it out. But it wasn't too complicated. It may also be more an issue of me pushing too hard. Overall, I really liked my cookie cutter. I'm looking forward to finding lots of excuses to whip up a batch. Feminist bake sales, y'all! 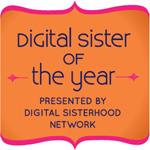 AND...I'm happy to say that I can share with my readers a code for 25% off! 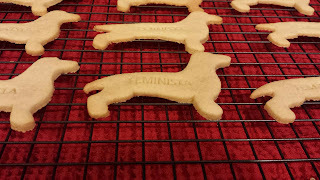 The doxie cookie cutter starts at $5.50 and goes up to $7.00 for the larger cutter. 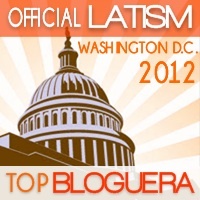 Don't wait too long because the code is good until September 30, 2015. If you get a cookie cutter, post a picture! I want to see what everyone picks out. Disclaimer: The review cookie cutter is the only compensation I will receive for this post. Your purchase does not provide me with any compensation. Cookies look great. Thanks for sharing.